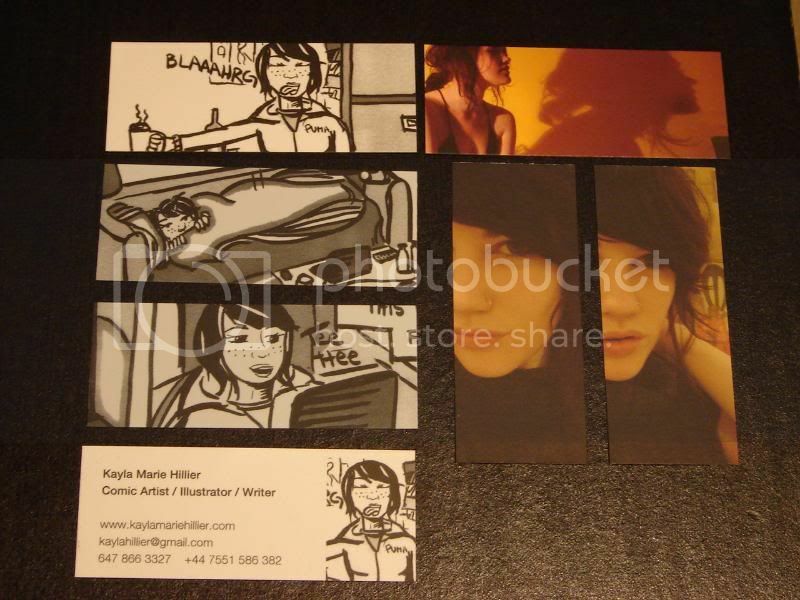 Because stationary brings me lots and lots of happiness and joy I present the business cards I had made via Moo. I used some of the comics from my Hourly Comic Day stuff and some photos- I think they turned out quite swoon-worthy. Moo does such a nice job. 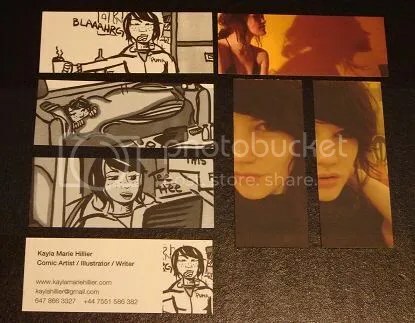 I also made some stickers with them for the Alternative Press Fair. In other news I thought I would give a heads up that I will be renovating this entire site. I’m going to be removing some sections completely and trying to make it really clean and easy to navigate. This entry was posted on February 18, 2010 at 3:15 pm and is filed under Daily Rambles. You can follow any responses to this entry through the RSS 2.0 feed. You can leave a response, or trackback from your own site.